New New York Jets’ head coach Adam Gase made an interesting impression when he was formally introduced at a press conference this week. The former Dolphins’ head coach looked around the room dazed as he sat down. Once seated, his head kept moving like a bobblehead. The good news for Jets’ fans is that things can’t get worse. 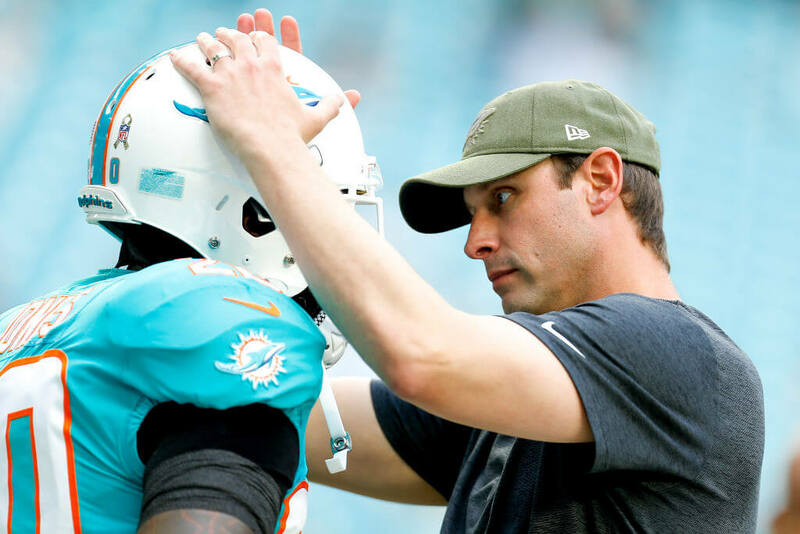 Gase might be quirky, but he has also proven over long career that he knows how to get the most out of quarterbacks, and he has worked with some of the best. New York needs a quarterback guru. Most starters make their “big leap” from year one to year two. Sam Darnold is in that transition now as he prepares for his sophomore season. Will Gase work the same magic with him that he worked with an older Peyton Manning? If there is anything that Jets’ fans should worry about, it’s that Gase never coached a team in Miami that was more than average despite loads of talent. And then when it became clear that Ryan Tannehill couldn’t stay healthy, Gase refused to move on. This stubborness became his downfall in South Beach. If he can be more open about necessary changes in New York, he should stand a better chance of leading them back to the playoffs for the first time since Mark Sanchez was the quarterback.